A SLIGO-based district judge has been getting hate mail over the fall-out from the “Shell to Sea” protests in County Mayo. Judge Mary Devins has revealed that hate mail has been sent to her following cases she dealt with in connection with the protests. Some of the mail was signed, but the “cowards” who had sent unsigned mail had shown their ignorance of her, she told the court. Some of this mail involved print-outs of various indy-media and newspaper reports. The judge - who is the wife of Sligo-North Leitrim TD and junior government minister Dr Jimmy Devins - told Belmullet district court that she was satisfied about her neutrality in the cases - despite the letters. “I am quite satisfied as to my independence” she said. “I am not a coward.” She said she considered the independence of the judiciary to be sacrosanct, and said that in her eight years on the bench in Mayo, if people went back to check, her independence would be very obvious. The judge said she was not barring herself from hearing three cases which related to the Shell protests, on the basis that she may be perceived to be influenced by previous cases or by the threatening letters she received. A defending solicitor - Alan Gannon - made the application saying ‘justice must not only be done but must be seen to be done’. He said he did not support the fact the judge had received “hate mail”, which he said was wrong. But he was concerned that a reasonable person sitting in the court might be concerned that perhaps justice was not seen to be done. Judge Devins said she had got hate mail over other cases and it had not affected her judgement. “Not a single thing has ever influenced my decisions,” she said. “When I am sitting on the bench that is all I am, a judge of the district court. I am not a coward”. Four defendants appeared before Belmullet district court in connection with disturbances at the “Shell to Sea” protest at Bellanaboy. The cases were adjourned for hearing until October 19. There is “a great deal of concern” being expressed in the local community about the future of the quarry on the Hill of Allen.That is according to councillor Pat Black, who was speaking at Monday’s Kildare County Council meeting.The lack of public input in the deal between Kildare County Council and Roadstone over the future of the quarry on the Hill of Allen was queried earlier this month at the Kildare electoral area committee meeting.That meeting was told that Roadstone had challenged, through the courts, Kildare County Council’s entitlement to insist that they get planning permission for the quarry. However, a deal was struck between the Council and Roadstone, the details of which are expected to be released in the coming weeks.The issue raised its head at the full Council meeting again on Monday.“I am not sure whether we are losing the PR battle, or whether this is a PR battle,” said Cllr. Black.“But I have heard expressed a great deal of concern. Is it possible to be up front about what is going on?”Cllr. Black said he had heard it from members of the public that they were concerned at discussions between the local authority and Roadstone.He said he would like it cleared up with nothing added to the rumours.Kildare County Council official John Lahart said that he would not comment on the specific planning application involved because it was going through the planning process.However, he said that any planning application would be looked at under the law and current standing planning regulations.The Hill of Allen Action group sent a letter to councillors this week highlighting their concerns regarding the plans for the area. Fianna Fail councillor Paul Kelly said that his party locally wanted to know the state of play in the planning process. TESCO’S PLANS for a petrol filling station in Carrick-onShannon have been described as “bad news for north east Roscommon”. Now a Fianna Fail county councillor has claimed that the region will have an economic fight on its hands if permission is given for the development. Already an application lodged with Leitrim County Council by Tesco for a petrol filling station, shop kiosk, car wash and canopy, at its Carrickon-Shannon supermarket site has caused a storm of controversy. Objectors claim that it could have serious consequences for small familyrun businesses and jobs in Carrick-on-Shannon and in north east Roscommon. Cllr Eugene Murphy has claimed that family-run businesses in Roosky, Elphin, Strokestown and the Boyle area would find it extremely difficult to survive if Tesco got the go-ahead from Leitrim County Council. “I have no desire to become involved in the affairs of another local authority area, but the outcome of this could be very crucial to Northeast Roscommon. There are many family businesses in my part of County Roscommon, and if the Carrickon-Shannon Tesco development gets the green light, they will have to shed jobs and in some cases I believe will have to close their doors. We cannot sacrifice the filling stations and shops remaining in our region so as to build up one or two towns. I also believe that shops and filling stations in the general Carrick-onShannon area will be very vulnerable if this development goes ahead, but I will leave that side of the argument to the various representatives in that region,” he said. While Cllr Murphy did acknowledge that Tesco did give “decent employment” in the region, he warned “further development will be at the expense of other jobs in the area. “I am now making written contact with the Leitrim County Manager to outline my concerns on this issue. This multi-national group admittedly does give decent employment in the general region, but remember, if further development leads to job losses in other parts of the region, then jobs are only being replaced. I accept one cannot always interfere with a free market, but surely we must not allow big powerful groups to rule the roost completely.” he concluded. FORMER architect David Grant was yesterday ordered to demolish an unauthorised extension to his Dublin 4 home. Mr Grant did not appear in Dublin District Court yesterday and was not represented. The court heard he built a two-storey extension at the rear of his Haddington Road home without permission. An application to have it declared exempted development was rejected. He was served with an enforcement notice requiring its removal but as of last Tuesday, it was still in place. Judge Anthony J Halpin ordered that the structure be removed within a month and fined Mr Grant €1,500. DUBLIN needs a massive coastal defence wall linking Howth and Dun Laoghaire if the type of devastating flooding which has struck the capital in recent years is to be averted. And a major report on the future of Dublin Bay calls for a full relocation of Dublin Port to allow housing and offices to be built in the heart of the capital city. The report, commissioned by the city council, proposes building a 'tidal barrage structure' and using waters in Dublin Bay to generate power through use of tidal energy. It also proposes building a new island -- to be called South Bull Island -- which would allow a freshwater reservoir to be built which could provide drinking water for the city. The radical measures are put forward in the report 'Dublin Bay: An Integrated Economic, Cultural and Social Vision for Sustainable Development'. It highlights the 'vital role' that Dublin Port plays in the development of the city, but says there is a 'growing realisation' that the port lands are 'strategically important' and offer potential for residential and employment-generating business opportunities. Moving the port is a "robust and compelling option", it says. "Dublin is constrained by its capacity to grow and to generate new employment by a lack of space," it says. "The status quo with the port remaining on site means there is no additional capacity for growth. Full relocation of the port and development of the vacated site for a mixed use of residential, public and employment space offers the best long-term impact for Dublin." Redevelopment of the port lands would allow the creation of a new 'city quarter', provide homes for 'at least' 55,000 people and the option would be 'economically very beneficial'. But it warns the relocation would be expensive given the 'high level' of infrastructure required for a busy port. The process could take up to 12 years. Informed sources said last night that the report did not offer a solution on how the port could be moved, and there was no alternative location identified. "It seems to be a property play. The value of the port is big to the economy, and this is like saying building on Tara Street or Connolly Station is fine because you can bus people in and you won't have the noise from trains." The plan also proposes linking the 1,700-acre Phoenix Park into the city by developing a 'tree lined boulevard' from the park gates alongside the River Liffey. To develop the capital into a 'truly world class city' a 'new image' must be established with iconic buildings and public spaces. Turning Dublin Bay into a marine reserve is also proposed. But its proposals to tackle flooding in the city are by far the most radical elements. It considers four options, saying that flooding of large tracts of the city is 'inevitable' unless preventative measures are taken. The options include building a 'tidal barrage structure' -- or flood defence wall -- between Dun Laoghaire and Howth, using the water in the bay to generate power. The structure could be used as a road or rail link. Another option could see flood defence walls built between Howth and Bull Island, and between the ends of the north and south Bull walls. A 'South Bull Island' could be constructed 'some distance' offshore which would be used for recreation purposes. Tidal generators for electricity production could be included, as well as wind turbines. The report also envisages the creation of a freshwater reservoir which would be used to provide drinking water for the capital. Frank Dunlop had ready access to Government ministers and was able to arrange meetings with them for his clients. Yesterday Mr Dunlop said his contacts were across the political divide, but he had no recollection of ever meeting former Environment Minister Padraig Flynn in relation to either the Blanchardstown Shopping Centre or the proposed development at Quarryvale. Mr Dunlop said he worked for John Corcoran of Green Properties, the developers of Blanchardstown. Mr Corcoran was anxious to get tax designation for Blanchardstown and had asked the late Brian Lenihan about it. "I recall Mr Lenihan, prior to a Cabinet meeting, raising the tax designation issue with the Taoiseach, Charles Haughey, but Mr Haughey's response was extremely negative," he said. "I was told by Liam Lawlor who was told by Ray Burke that Mr Haughey's reply was 'Brian, not today, not tomorrow not (expletive) ever.'" Mr Dunlop added that Mr Corcoran was concerned that a rival development at Quarryvale would impact on his plans for Blanchardstown. Mr Corcoran wanted to get the tax designation before proceeding to develop the shopping centre. The former lobbyist told the Mahon Tribunal that it was the late Liam Lawlor who told him to contact Tom Gilmartin and offer his lobbying services for the Quarryvale project. He wrote to Mr Gilmartin and enclosed press cuttings which dealt with allegations of corruption in the planning process in Dublin. He knew it was Mr Gilmartin who had made these allegations and agreed with tribunal counsel, Patricia Dillon SC, that a person who made such allegations was unlikely to be involved in corrupt practices himself. Mr Dunlop said Mr Corcoran was not "best pleased" when he found out that Mr Dunlop had gone to work for Owen O'Callaghan who was then involved in Quarryvale. His business relationship with Mr Corcorcan had ended rather abruptly around August 1990. He began working for Mr O'Callaghan in 1991. Mr Dunlop said he made his first corrupt payment in 1991. MANKIND has just 10 years to ensure the planet remains habitable for human beings, Environment Minister John Gormley told the UN in New York. Ireland will keep its climate change emission commitments under the Kyoto Treaty, he told world leaders. He also did not rule out the introduction of a carbon tax to meet commitments. The meeting was called to galvanise the support of governments around the world for a new, comprehensive treaty to limit the emission of greenhouse gases and replace the one agreed in Kyoto, which expires in 2012. In his address, Mr Gormley warned that the window of opportunity to avert the worst consequences of climate change was fast closing. "We have 10 years. Ten years to stabilise our greenhouse gas emissions, to ensure that our planet remains habitable for human beings, 10 years to act decisively," he said. "And we have squandered precious time," added the minister. Ireland was a relatively small western European country, Mr Gormley told the General Assembly. "Thanks to the warming effect of the Gulfstream on the north Atlantic, we have a temperate climate all year round." He said:"We value our temperate climate and we are determined to do everything possible to protect it in the interest of present and future generations of Irish people." Meanwhile, a survey carried out by Behaviour and Attitudes for the Power of One campaign by the Department of Communications, Energy and Natural Resources shows that 36pc of workers label themselves "energy wasters" in the workplace. Global warming can be halted by plumbing a gigantic array of pipes into the depths of the oceans, according to two of the world's leading environmental scientists. Pipes measuring up to 650ft (200m) long and 33ft in diameter should be installed and used to pump nutrient-rich water up to the surface to encourage plankton blooms, they say. The plankton growth would then take carbon dioxide out of the atmosphere and encourage cloud formation that together would, they believe, cool the world and save it from global warming. James Lovelock, the originator of the Gaia theory, and Chris Rapley, director of the Science Museum and a former head of the British Antarctic Survey (BAS), put forward the proposal in a letter to the scientific journal Nature. The two professors hoped that their proposal would encourage other scientists to concentrate on establishing novel techniques to halt global warming instead of writing off geo-engineering as an impossible solution. But the idea ran into controversy at once, with one scientist branding it "a waste of time" and others expressing doubts about its effectiveness. Under the proposal, hundreds of thousands of pipes -- placed strategically in the seas -- would be fitted with a buoyant collar to keep one end at the surface, where they would rise and fall with the waves. Nutrients at the surface would encourage blooms of microscopic plant life, the professors suggested. A BRAND new Luas line from Lucan to Dublin city centre, capable of carrying 20 million passengers annually, will be unveiled today. The F line is expected to be finished in 2013 and will serve Ballyfermot, Liffey Valley and Lucan. It will open up a new tram corridor on the south inner city for areas that now have poor rail access. The line will also connect to the existing Tallaght and Sandyford Luas lines, Irish rail commuter services and the proposed Metro North. The Environmental Protection Agency (EPA) has announced details of its Proposed Decision to grant a licence to Fingal County Council to develop an engineered landfill facility and public recycling facility at Nevitt, Lusk, County Dublin. The proposed decision provides for the development of an engineered landfill with a maximum annual intake of 500,000 tonnes of non-hazardous residual waste and an associated public recycling facility. Residual waste, in the context of landfill, is waste that has been subjected to pre-treatment (including pre-segregation, mechanical-biological treatment and energy recovery) to extract the recyclable/reusable components and energy benefit. * The completion of a wide range of environmental monitoring and assessment on an ongoing basis - both throughout the life of the landfill and after closure. The EPA's Office of Environmental Enforcement will monitor and enforce these conditions through environmental audits, unannounced site visits and systematic checks on emissions. The licence application - register number W0231-01 - sought permission for the operation of an engineered landfill and recycling facility at the site. The EPA received the licence application on 5th July, 2006. Further information was sought from the applicant and was received by the EPA, completing the application, on 28th June, 2007. The EPA has considered the application and supporting documentation, including an Environmental Impact Statement received from the applicant, 105 valid submissions received from other parties and the report of its inspector. There now follows a 28-day public consultation period in which objections or requests for oral hearings can be lodged with the EPA by any person or body - including the applicant. In this case, the period ends on 17th October, 2007 and objections should be directed to EPA Headquarters, PO Box 3000, Johnstown Castle Estate, Co Wexford. As this is the first step in a statutory licensing process - and, in view of the fact that the objection period has now commenced - the EPA is not in a position to comment further on the proposed decision. All the documentation received by the EPA - including the application, Environmental Impact Statement, third party submissions, proposed decision and inspector's reports are available on the EPA website - Click Here The waste licence application number is W0231-01. 1. Given the complexity and scale of some waste activities, the EPA provides pre-application clarification and consultation, so that applications are as complete as possible. 2. Once received, the application is rigorously assessed by a team of experts from the EPA's Office of Climate, Licensing and Resource Use. 4. When the application is deemed complete and has been fully assessed, the EPA's Office of Climate, Licensing and Resource Use makes a recommendation on the application to the Board of Directors of the EPA. 5. The Board assesses the recommendation - together with the application and all submissions - before making a decision. 6. The Board's decision - in the form of a Proposed Decision (PD) - is notified to the applicant, all third parties who made a submission on the application and other statutory consultees. 9. Should the EPA decide to hold an oral hearing, any person who lodged a valid objection - as well as the applicant - has an automatic right to attend and participate fully at a hearing. All hearings are open to the public. Members of the public can participate in the proceedings where they have lodged a valid objection or with the express approval of the Chairperson. 10. On completion of an oral hearing, the Chairperson will submit a report of the hearing to the EPA. In this report, the Chairperson must make a recommendation to grant or refuse a licence. Where the recommendation is to grant a licence, the Chairperson must outline the recommended conditions to be attached to the licence. 11. The recommendations arising - together with the objections and submissions - are considered by the Board of Directors before making a final decision to either refuse a licence or to grant a licence with or without conditions. The EPA is debarred in law from granting a waste licence unless it is satisfied that the activity concerned - carried out in accordance with such conditions as may be attached to a licence - will not cause environmental pollution. Mr John Gormley TD, Minister for the Environment, Heritage & Local Government has published draft building regulations under Part L of the building code dealing with energy efficiency for homes. The draft Regulations provide for a dramatic improvement in energy efficiency standards in Irish homes. They are aimed at ensuring that new housing stock in Ireland is built to the highest international standards, where they will be cheaper to run and will have a much lower impact on the environment. * A 40 per cent improvement in energy efficiency for new homes in 2008. * A 40 per cent reduction in CO2 emissions. * Consumer information on the efficient operation of the homeowner's dwelling as a minimum requirement. * New buildings should also be 'future-proofed' to be easily upgraded to higher energy and CO2 standards in the future. "The draft Regulations which I have published today will change forever the way we deal with the housing stock under the building code. These Regulations are the first dramatic step in the process of achieving zero-carbon housing. The benefit to the consumer in savings on energy costs - as we face into an uncertain future with regard to carbon-based fuel costs - will be a huge benefit to homeowners" - said Minister Gormley. "It will also make a significant contribution to Ireland's efforts to reduce greenhouse gas levels. "The improvement (40 per cent) is the largest ever to have taken place and the new Regulations also link energy-efficiency improvements to climate change, by requiring a specific reduction in CO2 emissions. New homes will be required to be built to specifications where they produce, on average, 40 per cent less CO2 than current standard new homes" - the Minister added. The draft Regulations have been sent to the European Commission for consideration - as required under Competition law - and are being published on the Department's website for public consultation. The Minister may choose to amend parts of the Regulations and Guidance following this public consultation process. The Minister intends to sign the regulations in December 07. There will be a phasing-in period for the Regulations - as recommended by experts who have worked on them - in order to provide time for the industry to adjust. The intention is that the new rules will apply to all new housing planning applications after 1st July 2008. From 1st July 2009, they will apply to all new homes that have not been substantially completed at that stage, regardless of when planning permission was sought. "These Regulations - when finalised and coupled with Regulations transposing the EU Directive (2002/91/EC) on the Energy Performance of Buildings which became law in December 2006 - provide a very strong base for creating a world-class energy efficient housing stock. They will make a significant contribution towards the implementation of our climate change strategy" - concluded Minister Gormley. * Significant improvements in wall, roof and floor insulation levels will be required. * Some form of renewable energy - such as solar thermal heating - will also be an essential element. * The use of energy-efficient lighting (in the region of half of all fixed lights) will also reduce energy demand and CO2 levels. * Heating systems will be required to have thermostats, time controls and, in larger homes, heating zones. * Boilers will have to perform to minimum efficiency standards. * Air testing to ensure homes are not leaking excessive heat will also be required. * The guidelines will also provide a new emphasis on workmanship - and, for the first time, require that vendors provide consumer information to buyers on the operation of the home's heating and energy control systems. For renewable energy, they will stipulate a minimum amount of energy in kilowatt-hours per square metre of the house. The amount has been set so that a modest solar water-heating system will meet the new requirements. Similarly, the lighting efficiency standard will be based on a proportion of the floor area of the new house. Standards for boilers will effectively make highly efficient models - like condensing boilers - a basic requirement. Vendors of these new homes will have to provide easy-to-read consumer information on how the systems in the homes operate. The policy aim of achieving zero-carbon homes in the future is stated for the first time in these new guidelines. It states that a review to improve the regulations further (to 60 per cent above current levels) will be carried out in 2010. The document states - 'This revision of Part L represents a significant step towards the optimisation of the efficiency of energy use in new dwellings and the minimisation of related CO2 emissions. It is intended that the standards specified here will be tightened further in 2010. The aim is to achieve zero-carbon emissions associated with the operation and use of buildings, at the earliest date practicable'. The guidelines also advise that new homes should be future-proofed. It states - 'Insofar as the current amendment does not achieve this target, the design and construction of dwellings complying with this amendment to Part L, should be carried out with due regard to the likely need to upgrade the building fabric and fixed services in the future, so as to reduce further carbon emissions associated with the operation and use of these dwellings'. A new independent masterplan for Co Meath which drops the controversial section of the M3 motorway near the Hill of Tara, but includes a world heritage park, was launched last night. 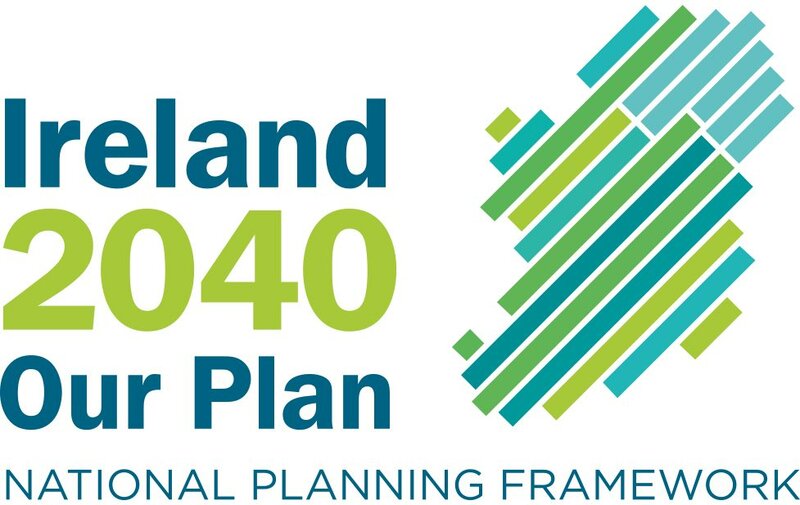 The masterplan, which derives its name from Model Archaeological and Sustainable Economic Region (Master) was put forward by environmental engineer Tadhg Crowleyand transport consultant Brian Guckian. Minister for Community, Rural and Gaeltacht Affairs Éamon Ó Cuív has called for a freeze on all new housing developments in commuter-belt villages like Barna, Co Galway, until adequate infrastructure is in place. The Minister made his call on the eve of a crucial Galway County Council debate today on Barna's draft local area plan. Unless a plan can provide specific infrastructure, such as schools, sporting areas and sewerage facilities, it should be postponed until such time as it has these commitments, Mr Ó Cuív told The Irish Times. He cites Co Meath as an example where developers must sign up to land transfer directly to schools and sports clubs in advance of any zoning and planning approval for housing. "Specifics like these, which could be pinned down in a plan within eight weeks, could avoid eight years of heartache by communities which were promised facilities and never got them," said Mr Ó Cuív. A community group, Pobal Bhearna, has urged Galway county councillors to resist pressure from developers to make alterations to the draft plan. According to the group, such alterations could pave the way for more intensive sprawl in the former fishing harbour, which lies several miles west of Galway city. A strategic environmental assessment prepared for Galway County Council by CAAS Environmental Services Ltd shows serious pollution in the Truskey river catchment which drains a "sizeable portion" of Barna lands. The report finds the most likely cause of the pollution is the use of septic tanks for waste water by over 93 per cent of Barna's population. Pobal Bhearna has also met Connemara councillors but fears that developers are putting pressure on councillors from other parts of the county to try and influence the final blueprint today. BONO turned from superstar to fan yesterday as he lavished praise on a visiting Japanese architect. The U2 frontman also revealed his optimism about the future of Irish architecture and praised developments taking place in Dublin, despite controversies about the character of some modern buildings, including the forthcoming "U2 Tower". Tadao Ando, billed as "one of the world's greatest living architects" gave the largest ever public lecture in Ireland on building design yesterday. In rock and roll terms, he was the headliner who attracted a 3,000 strong crowd while Bono was the warm-up act. The singer said that Ando (66) had found his own distinctive voice, "which is the hardest thing". Bono added: "Tadao Ando didn't just find a voice, he found a language. Awe is a word to describe Ando's work -- he's simply awesome." Bono has his own interests in this area, with the long anticipated "U2 Tower" on the southside promising an innovative corkscrew structure but also being described as a "monstrosity" by Ringsend Environmental Group. Bono said, however, that economic growth was bringing "great buildings" to Ireland. The singer added: "We're proud of our city. People in business and planning are taking steps -- baby steps -- taking the prosperity we're enjoying and leaving some great buildings for our kids." Ando claims people can be highly influenced by architecture and that it can reflect local culture -- including its differences. Yesterday's event at the RDS was packed with people eager to hear from a man who has won virtually all of the major international architecture awards. Ando titled his lecture "Creating Dreams" and drew on experiences of his previous jobs as a boxer and truck driver. He says he learnt about architecture by going to see buildings across the world before designing landmarks like Osaka's famous Church of Light. DUBLIN Airport may need a third terminal just two years after the second passenger facility comes on stream in 2010. A new report, commissioned by businessman Ulick McEvaddy who wants to build a third terminal on land he owns to the west of the existing terminal, shows that up to 32 million people a year could be using the airport by 2012. That could mean another terminal would be needed to avoid the huge queues which have dogged the airport for years. The report analyses projected-traffic data provided by the Dublin Airport Authority and compares it with actual traffic through the airport. It warns that unless planning for the third terminal begins soon, the airport faces years of congestion and traffic chaos. "This paper provides numerical evidence that the Government must, as a matter of urgency, begin the process to build a third terminal at Dublin Airport," it says. "Failure to do so will ensure that chaotic passenger and road congestion will continue well into the later years of the next decade." An analysis of passenger numbers through the airport shows that numbers have been 'widely underestimated' for many years. In 2004, the 'high-growth' scenario suggested that 16.6 million people would use the airport. The actual number was 17.138 million. The following year, the high-growth scenario said 17.5 million would use the facility, but 18.45 million people passed through the airport. Last week, the Dublin Airport Authority revealed that 2.4 million people travelled through the airport in August -- an increase of 9pc on last year. The report notes that forecasts are 'significantly incapable' of allowing any party to 'strategically plan' for future capacity. An Bord Pleanala, in its grant of planning permission for the second terminal known as T2, has put a cap of 32 million people using the facility. The report warns that unless passenger growth collapses, this cap will be reached between 2011-2013. "In late 1995, Aer Rianta (now the Dublin Airport Authority) provided a written position on proposals for the development of a second commercial airport for Dublin. Speaking on passenger capacity, they declared that that forecast was to grow to 14 million by 2005 -- they underestimated by an amazing 4,450,439 passengers," it says. "Some 10 years later -- 2005, it appears that the Authority's ability to forecast continues to be their 'Achilles heel' in that they will have underestimated the 2007 traffic by approximately 2.5 million passengers." It continues that both Ryanair and Aer Lingus continue to pursue 'significant growth strategies', and that transatlantic airlines will be attracted to Dublin Airport due to congestion in other airports including Heathrow and Charles de Gaulle. A second runway, which has also been granted planning permission, will add to the attractiveness of the airport. "Taking an upbeat terminal construction project completion augury of between 3 and 5 years will mean that if we are to avoid the mistakes of the past, we need to begin the project no later than the first quarter of 2008," it concludes. But the Dublin Airport Authority said that while its forecasts had underestimated passenger growth in the past, there was no need for a third terminal until 'at least' 2014/2015. "It's all a question of timing," a spokesperson said. "There's no dispute that Dublin Airport will need a third terminal. "There has been a huge bubble of growth in Dublin, principally driven by Ryanair's decision to expand. The economy is slowing down, and the airlines are unlikely to expand. "If passenger traffic were to grow by our higher forecasts, we expect to need a third terminal by 2014/2015. Lower forecasts would see it needed by 2018. "There is no need to plan a third terminal until T2 is open in 2010." PLANS to develop a "tri-location super hospital" in west Dublin have been rejected by the planning appeals board. And now developer Richard Farrington will have to go back to the drawing board if he wants to see his ambitious plans realised. The Irish Independent has learned that An Bord Pleanala has told Mr Farrington to conduct a full assessment of the impact his hospital complex would have on the site at Corkagh, near the Naas Road. The Environmental Impact Assessment (EIA) could take some months to prepare, and will delay plans to build the 219,000 sqm hospital complex which would include a nine storey 220-bed maternity hospital, 12-storey 450-bed children's hospital and nine storey adult hospital. The super hospital complex plan also includes facilities for diagnostic imaging technology and for clinical waste handling. Outline planning permission -- seeking a determination if the site was suitable for a hospital complex -- was sought from South Dublin County Council last January. The council rejected the plans in May, but the decision was appealed to An Bord Pleanala. It is understood the board wrote to Mr Farrington in recent days to say an EIA was required. A planning application will now have to be re-lodged with South Dublin County Council. Last night, Mr Farrington said he had already spent €1m preparing his plan, and the EIA would cost him "a lot of money". "This is a technicality," he said. "We went through the local planners and they didn't make an issue of this. "We were seeing if in theory, a hospital could get planning permission on the site. We've already done most of the work, and I think this is a bit severe. "This just delays it, but I would take it as a positive because it wasn't refused,'' he added. As thousands of students prepare to go to third-level college, a young businessman who left shcool at 13 has been toasting his latest development, a €55m arena near the border which he hopes will lure acts like The Killers and Justine Timberlake. Although a stone has yet to be laid on the new site, 32-year-old Philip Kirk -- who is known to friends as "Captain" because he is one of the elite Irish businessmen who travel by helicopter -- has already booked Michael Flatley for the late 2009 opening of his Newgrange-inspired arena, which will have seating capacity for over 9,000 people. The scheme, outside Dundalk, Co Louth, will also feature a range of bars, restaurants and cafes, together with an international school of music. Additionally, almost 500 houses are to be built, and his existing hotel is to be extended and upgraded, from three star to four. "I'm so bloody excited," says Philip. "The concert promoters are clamouring already." Kirk, who left school at 13 because he "was never much good with the book", says people often ask how he achieved success so fast. "Sometimes I wonder myself," he replies. "But when you're young, nothing's a problem." "I was only 11 when my father died," Philip recalls, "and I left school two years afterwards. There was no money, not a cent, and a big family to be reared. The land was there, of course, and everyone was telling my mother to sell it. But she held on." Looking for a way out of farming and to make money, he turned the family farm into what is now Carnbeg Golf Course, near Dundalk. With the economy coming out of the doldrums he decided to "go for broke" and added a hotel, nightclub, leisure complex, pool, conference rooms, lounge, bar, restaurant and six football pitches. An ambitious plan indeed for a young fellow who, by his own admission, was doing it all, literally, on a wing and a prayer. Because it was at this point that Philip also set about realising his long-held dream of learning how to fly. "I was always mad on helicopters," he reveals. "They used to give me fierce slagging about it at home. Captain Kirk they'd call me." Now with the stamp of approval on his most ambitious dream to date, is an upgrade in order? A private jet, perhaps? He chuckles and polishes off his coffee. "Watch this space," he replies. A number of Dublin's private waste management companies have accused Dublin City Council of attempting to push them out of the market so it can fulfil a multi-million euro agreement to supply waste paper for a planned incinerator. Dublin City Council -- which entered into a deal to provide 320,000 tonnes of waste per year to the proposed incineration plant in Poolbeg, Co Dublin -- is planning to make changes to the area's waste management plan which would see the council gaining greater control over the final destination of Dublin's waste. Now private waste collectors Panda, Greenstar and City Bin have attributed the proposal to a deal between the four Dublin councils and the incinerator company. They say they are ready to take legal action if Dublin City Council goes ahead with the proposed modifications. Eamon Waters, managing director of the Panda waste collection service, says the council wants to "wipe out" competition and they have threatened to go to the European Court if the council proceeds with its plans. "[The council are] doing it purely for the incineration plant. They have committed a certain amount of tonnes to incineration and if the private sector take the waste off them, they won't have the waste to go there." Steve Cowman, chief executive of Greenstar, also maintains that the new proposals will lead to a monopoly. "The Department of Environment in their green paper last year highlighted the fact that there was an issue where the local authorities competed in the waste business and regulated that business. So they're basically trying to use their powers to effectively monopolise the market." Niall Killilea, managing director of the City Bin Co, has labelled the recent proposals a "fiasco". "The proposal to change the Dublin Waste Management Plan . . . could lead to the crazy scenario where the council itself is tendering for the collection contract and are, at the same time, the people who decide who wins it." However, Dublin City Council claims that a free-for-all is emerging in the Dublin Household Waste Collection market which puts at serious risk the attainment of the ambitious targets for the reduction, re-use and recycling in the Dublin Waste Plan. IT'S a long way from Tinseltown to the Hill of Tara but Hollywood star Stuart Townsend was one of the first to make the journey when he heard his ancestral homeland was under threat. His famous girlfriend Charlize Theron was too busy filming to travel, but that did not stop him sacrificing his time to help protect the site of the druids. The heartthrob from Howth aligned his body with thousands of others yesterday to make up a string in the world's first human harp on the famous Meath mound. Over 3,000 people posed for an unprecedented aerial shot at the ancient site in protest at plans to site the M3 motorway nearby. Townsend had a guiding hand in the proceedings and even brought in a pal to snap the spectacular formation from a helicopter, but laughed at suggestions that he is becoming the Bono of the environmental world. It was a thrilling, if bizarre, moment for more than a few fans to find themselves side by side with Charlize Theron's boyfriend to form the shape of the traditional instrument. They were in for another A-list surprise when the not unpleasant shape of actor and Hugo Boss 'face' Jonathan Rhys Meyers also appeared on the sacred ground. The actor, who has more recently been travelling through time to the era of the Tudors for a TV series, was able to put the authoritarian skills he developed as Henry VIII to good use as he roused the Tara campaigners. Addressing the crowd, he said it was not just the motorway that was horrible, but the subsequent development it would bring. The actor, who was born in Cork and brought up in Dublin, said he appreciated the untouched landscape that remained in Ireland far more since he moved to the US. He said he would like his grandchildren to be able to feel the same way. Harps or no harps, Townsend also showed that acting was not the only string in his bow. He is exhausted after directing a film about another, very different, protest at the World Trade Organisation Ministerial Conference of 1999. The actor will finally getting a complete break next week when he heads down the country for a holiday. "I haven't been home for a while and want to see some friends," he said. "Charlize is working. She wants to be here, but is overworked. "I am exhausted from the filming process. I went to the Toronto Film Festival and was involved with marketing the movie." He revealed that -- despite rumours -- himself and Charlize have not tied the knot. "We didn't get married," he said. "Every week someone says we are or that we're splitting up. "We're married in our hearts and have been together for seven years and have dogs, live in a house, and plan to have children. We don't need the Church or the state." Despite his opposition to the motorway, he was compassionate about the predicament faced by the new Green Environment Minister and invited John Gormley to meet him to discuss an alternative plan for Tara. "I'm sure he's a good guy and will try to do his best but in a way his hands are tied behind his back," he said. "His party does not have many seats and that probably curtails his power. "Politics is politics and who knows what pressure John Gormley's under. I really hope he considers the Tarawatch plan and there is a breakthrough." A PLANNING application in the name of Progressive Democrats senator Fiona O'Malley and another woman is at the centre of a garda investigation. The gardai were called in after a letter purporting to come from a priest in support of the application turned out to have been written by Ms O'Malley's partner in the project. In a statement yesterday, Ms O'Malley said she was completely unaware of the letter and had no involvement in its preparation or inclusion with the planning application. Ms O'Malley stressed that in recent years she has had little or no involvement in the day-to-day running of the project. Permission for the development of an arts centre in north-west Connemara was sought from Galway Co Council last April. The application was in the names of Mari Saville and Fiona O'Malley. Both women are directors of the partially completed Ellis Tate Centre for the Arts which is being established alongside the old Letterfrack Industrial School and adjacent to the local Catholic church. The permission sought is for permanent retention and completion of three new two-storey studios, toilets, foyer, café and library, as well as an extension to an existing theatre/exhibition building. In order to satisfy planning requirements, it emerged car parking spaces would have to be made available and agreement would have to be reached with the local church authorities to avail of up to nine of their parking spaces. A letter in support of the application was received by the planning department of Galway Co Council on April 10. A copy of the letter was obtained by Nuacht TG4 and details were broadcast over the weekend. The address on the letter states that it came from the Parochial House, St Joseph's Church, Letterfrack, and it was signed John O'Gorman PP -- Fr John O'Gorman was the parish priest in Letterfrack at the time. The letter referred to the planning application being made by Ms Saville and Ms O'Malley and pointed out that 30 car parking spaces were available at the church. "I now confirm that this car park will be made available to Ms Saville and Ms O'Malley for the parking of not more than nine cars during weekdays and at times when the buildings referred to in the planning permission will be in use, on the assumption that Galway County Council will grant planning permission for this particular development. I trust this arrangement will be acceptable to the Galway County Council as part of a planning permission," said the letter. It is understood that the letter was referred to gardai in Clifden for investigation after it was brought to the attention of Fr O'Gorman. A garda spokesman confirmed an investigation was being carried out. Ms Saville has now admitted she wrote the letter and had simply signed it on behalf of Fr O'Gorman and had indicated this by using the notation, pp or per pro. She insists that she did so only after getting Fr O'Gorman's complete agreement to allow the nine spaces to be used. Ms Saville claimed there was "mischief-making and troublemaking locally" about the matter. Fr O'Gorman declined to comment. He has since left Letterfrack and is now attached to a parish in east Galway. Ms Saville confirmed that a detective had interviewed her about the matter, but had "accepted" her version of events. She said she had gone to Fr O'Gorman and apologised. In a statement yesterday, Ms O'Malley confirmed that about 10 years ago she became one of the directors of a company trying to develop an arts centre in Letterfrack. "For some time I was actively involved in trying to move the project forward, but for the last number of years, I have had little or no involvement in the day-to-day running of the scheme," she said. "In April of this year, a fresh planning application related to the project was lodged to Galway Co Council without my involvement. I am also advised that as part of the application, a letter was submitted referring to the attitude of Fr John O'Gorman to the project. I was completely unaware of this." The Ellis Tate Centre for the Arts in Connemara is partially funded by the American Ireland Fund. The fund is an international charitable organisation which has contributed over $300m for worthy causes here. THE Greens yesterday unveiled their first major initiative in Government -- but it will cost buyers of new homes next year an extra €15,000. Under a new energy plan, all new houses and apartments built from next July, will have to use solar panels or wood pellet stoves. It is part of a drive to cut carbon dioxide levels by 40pc. The measure represents the party's first major impact on government policy. But last night it ran into serious difficulty with builders and opposition politicians. The regulations will pose a major headache for the building industry. Tens of thousands of homes, which will now be governed by the new measures, have already been granted planning permission. That means architects may have to revisit plans to make sure they meet the new requirements. Green Party leader John Gormley insisted the moves were "good for the environment and good for the consumer" and that there was "broad agreement" across the construction sector for the initiative. Construction chiefs, however, warned that they could not possibly meet the new requirements within the timeframe laid down by the Government. A spokesman for Construction Industry Federation (CIF) chief Tom Parlon -- a former PD junior minister -- told the Irish Independent: "We don't have the technical capacity to do this." The Greens also came under political fire over the costly new measures. Fine Gael accused the smaller government party of hypocrisy, saying the new regulations came just one week after the party opted to cut the Greener Homes scheme. "Instead of slashing grants to existing householders who wish to reduce energy usage, funding should have been increased," Fine Gael's new party environment spokesman Phil Hogan said. It is estimated the new energy-efficient measures will add an average of €15,000 to the price of new homes from next July. However, the Greens claim houses and apartments will be cheaper to run. The regulations announced at the Green Party think-in in Co Wicklow yesterday provide for a radical improvement in energy-efficiency standards. They include a minimum renewable energy requirement in all new homes; while solar heating systems or biomass systems, such as wood pellet, will have to be used. A certain amount of lighting in the home will have to be energy efficient, while 'greener' and more efficient heating systems must also be installed. Houses will be tested for 'air tightness' to ensure they are not leaking heat excessively. New buildings will also be 'future-proofed' to allow them to be upgraded to higher energy and CO2 standards. Mr Gormley praised officials for fast-tracking the new regulations, despite the industry's belief it would not be able to adapt so quickly. "The draft regulations which I have published today will change forever the way we deal with the housing stock under the building code," he said. "These regulations are the first step in the process of achieving carbon zero housing. "The benefitin savings on energy costs, as we face into an uncertain future with regard to carbon-based fuel costs, will be a benefit to homeowners. "It will also make a significant contribution to Ireland's efforts to reduce greenhouse gas levels." Natural Resources Minister Eamon Ryan added that more than 6,000 houses with a 40pc improvement in energy efficiency had been constructed under the Houses of Tomorrow scheme. "This shows the demand that exists and how regulation is the next logical step," he added. The measures apply to all planning permissions granted for housing after July 1. But all homes which have not been "substantially completed" by July 2009 will have to include the new measures. CONTROVERSIAL plans to build over 800 homes on Dun Laoghaire Golf Club have been approved. Yesterday the local council gave the go-ahead to Cosgrave Developments to build 856 residential units subject to 64 conditions, despite objections from almost 450 local people. But the decision will be referred to An Bord Pleanala, and the Combined Residents to Save Open Spaces (CRSOS) group has pledged to seek a judicial review of the decision if its appeal is unsuccessful. Chairman Gene Feighery described the decision as "appalling", saying there wasn't enough open space in the development and that a town the size of Fermoy was being 'parachuted' into the south Dublin suburb. Dun Laoghaire Rathdown County Council confirmed yesterday that just eight houses were omitted from the development, and that 438 parties had objected. Cosgrave Developments acquired the 78-acre site in a deal which saw the golf club relocate to Ballyman, near Enniskerry. The club was paid a reported €20m to relocate, and the deal also included a 27-hole course and new clubhouse. But the move has infuriated some locals, who believe the course should have been retained as a green belt for Dun Laoghaire. Cosgrave Developments plan to build over 1,700 new homes in total, and the permission granted is for the first phase of development. The plans include provision of a supermarket, seven shops, cafe/restaurant and offices. The developers will have to upgrade the local road network, and plan on building a lake in the middle of the development. Two pieces of public art will also be included in the scheme, and the developers will be obliged to pay almost €14m to the local council to cover the cost of providing water, parks and upgrading the Sallynoggin/Glenageary roundabout. Last June, local councillors instructed Dun Laoghaire Rathdown County Council to prepare a local area plan for the site, but council management said the planning application could not be deferred until the local area plan was in place as the company was entitled to have its application considered within a statutory time limit. Chairman of the CRSOS, Gene Feighery, said Cosgrave Developments had "split" the project into two halves, which was not allowed. "I'm appalled," she said. "It's a disaster for Dun Laoghaire. The level of density is too much, and there are major traffic and safety implications. We see this as project splitting and the council linked the two phases of development by inquiring about public transport links and access to Dun Laoghaire village. Cosgrave Developments were not available for comment. MEMBERS of a top Dublin golf club are set for a personal €100,000 windfall as part of a buy-out offer by a major development company. Capel Developments has offered to give €80m in cash alone to Clontarf golf club to buy its land. It has also offered to move the Clontarf members to Portmarnock Links golf course, which Capel owns. Of the €80m figure, €60m will go directly to the estimated 600 voting members of the club, with €20m available for club funds if Clontarf moves to the 12-year-old Portmarnock course. The property development company will also provide a 28,000 square foot, two-storey, fully equipped clubhouse at Portmarnock, a driving range, and a short game practice area and putting facilities. In total, taking the cash and the value of the 147 acre Portmarnock Links course, which is estimated at €30m, the deal is worth over €110m to Clontarf. The unique feature of the offer is the cash element aimed directly at the individual voting members of which Capel estimate there are 600. Three other clubs in the Republic -- Bray, Dun Laoghaire and Douglas -- have done land swap deals with developers, but in each case, the members were not given a direct share of the money. The tax implications will need to be ascertained by experts on behalf of Clontarf, but the members will hope they will only be liable for 20pc Capital Gains tax. All of this is dependent on club members agreeing to leave the home they have occupied since 1912, and Dublin City Council rezoning the Clontarf Golf Club lands for building. The course is set on around 73 acres in Marino, less than a mile from Dublin city centre, and includes a Bowling club. Ironically, the Clontarf golf club only own around 10 acres of the site, with the other 63 acres on a long-term sporting lease from Dublin City Council. Capel Developments is a leading property development company which bought Portmarnock Hotel and Golf Links in 2005 for over €70m. The company has since upgraded facilities at the Hotel which is currently for sale, and have spoken to a number of golf clubs including Clontarf and Forrest Little about a swap deal. Their written offer to Clontarf ends a long period of speculation about the company's intentions regarding the Links golf course. Capel Developments is owned by Dubliners John O'Connor and Eddie Keegan, and Liam Kelly from Laois. John O'Connor is a member and past Captain of St Anne's Golf Club on the Bull Island. Mr O'Connor commented last night: "I can confirm we have made an offer to Clontarf. It's with the club now and I can't expand on that at this time." Clontarf Club officials had no comment to make. Well-known members of the club include former Dublin Manager Kevin Heffernan, former Tipperary All-Ireland hurler Tony Wall, and Golfing Union of Ireland General Secretary Seamus Smith. Portmarnock Hotel and Golf Links opened in 1995. It originally cost IR£14m and was built by a partnership of International Management Group and a consortium including Columbia Investments. The championship layout was designed by Ryder Cup star Bernhard Langer and is internationally renowned as a top quality course. A FORMER architect whose business was wiped out after he was featured in a television expose yesterday pleaded guilty to allowing dangerous buildings to be used as a hostel for 170 people, including children. David Grant has had two-and-a-half years to rectify serious fire safety defects in the 250-year-old Georgian buildings at 7-10 Upper Gardiner Street, Dublin District Court heard. They are let out in 44 units to 170 people and bring in €30,000 a month in rental income. Mr Grant (56), Haddington Road, Ballsbridge, Dublin, is to be given a few more weeks to carry out works to make the buildings safe. These include replacing inadequate fire doors, inadequate emergency lighting and providing proper waste storage. After viewing pictures of bunk-bed style accommodation, in which at least two children sleep, Judge Anthony J Halpin said he did not want to "put anyone out on the road" by closing down the hostel, but Mr Grant would have to get to work quickly on rectifying the defects. Mr Grant was featured in a 2005 RTE 'Prime Time' programme which showed how he had set himself up as an architect without formal qualifications and sought planning permissions for hundreds of 'side-garden' homes in Dublin. Up to two-thirds of his applications to one local authority were rejected -- three times higher than the average. Technical defects, such as one in which a house was too big for the piece of land involved, were among the reasons why they were turned down. Also in 2005, Mr Grant was fined for altering his deceased father's driving licence after he was stopped for drink driving, an offence, his second in a year, for which he narrowly escaped a jail term. Yesterday, his solicitor Cahir O'Higgins, said the 'Prime Time' programme had resulted in him "losing his business" after he was subjected to "a phenomenal" amount of media attention. As a result, his attention to the Gardiner Street buildings was distracted for some time. "He is getting his financial affairs in order but he is not a wealthy man," Mr O'Higgins said. Some of the outstanding defects in the hostel had been dealt with, including the storage of waste. He had engaged an electrical contractor and an architect to deal with others. Judge Halpin said he was prepared to give him another four weeks to make significant progress as he had already had more than enough time. He adjourned the case for two weeks for mention to see how he is doing. BILLIONAIRE businessman Denis O'Brien has gone to An Bord Pleanala in his bid to demolish the exclusive Ballsbridge home he bought last year for €35m, the second highest price ever for a house in Dublin. After being refused permission by Dublin City Council, Mr O'Brien has now applied to An Bord Pleanala for permission to level the Tudor-style property, Belmont, built in 1904. It boasts an indoor swimming pool, seven bedrooms, sauna and steam room and a putting green on two-thirds of an acre. Mr O'Brien wants to replace it with a new detached house, keeping the existing line of the building but extending the living space into the basement as well as into an annex. Dublin City Council refused permission on the grounds that the scale, form and design of the existing house "contributes to the character and identify of the streetcape on Shrewsbury Road". The council also said the proposal would conflict with the Dublin City Development Plan 2005-2011 to protect and improve the amenities of residential conservation areas. Refusing Mr O'Brien permission, the council said the development would "set an undesirable precedent for similar development which would cumulatively undermine the character of a conservation area". He has now appealed this decision to An Bord Pleanala. A submission on his behalf to the board says the proposed new house is of a high qualiy of architectural design and materials, and reuses many elements and materials conserved from the existing house. Mr O'Brien says that the new house will have no negative impact on the character, architectural quality or residential amenity and is also fully compatible with the city development plan. His 'A-list' neighbours include developer Sean Dunne. Mr O'Brien already has a several valuable properties in the capital. In 2000 he paid an estimated €9m for a large detached house, also located in Dublin 4. THE company planning a €500 million liquid gas terminal on the Shannon Estuary has confirmed it will seek planning permission within the next eight days. Shannon LNG Ltd yesterday advertised detailed plans for a terminal to convert highly pressurised liquid gas for use on the national grid. It hopes to open the terminal in 2012. If given the go-ahead, the north Kerry facility has the potential to provide 40% of the country’s natural gas requirements. Shannon LNG’s managing director Paddy Power said the plans are being sent to An Bord Pleanála and will be made public on September 28. The submission of this application is the culmination of months of research, he said. “The EIS (Environmental Impact Statement) is a very comprehensive document addressing all aspects of the project including environmental impacts, construction and traffic issues, safety requirements and the strict standards to be employed during both construction and operation,” he said. The cost of the project has risen by €100 million since last year when the company began a site investigation. Yesterday it said €500m was a more accurate reflection of the cost. Once An Board Pleanála has received the application a seven-week window will open for the public to register objections. The proposed complex will be built on the Kerry side of the estuary in the townlands of Ralappane and Kilcolgan Lower, situated between Ballylongford and Tarbert. This is a land-bank owned by Shannon Development — earmarked to harness the economic potential of its deep-water access. The terminal will involve a network of jetties, four giant gas storage tanks and buildings where the liquid gas will be converted from minus 160°. It will require a number of fire safety measures and the establishment of an emergency plan in case of a major accident on the site. As the terminal is considered a strategic piece of infrastructure, the planning application goes directly to An Bord Pleanála. Kerry County Council has already approved the rezoning required to allow the complex to be built. Chairman of Shannon Development John Brassil said the gas terminal will be a big employment boost for the north Kerry area. CONSULTANTS for Shell E&P Ireland yesterday announced three possible onshore Corrib pipeline routes as the campaign of opposition to the project pledged to fight the plan to the bitter end. The consultants, RPS, published a list of eight potential routes last June. Their next step is to open discussions on the proposed three routes with the public and landowners, and they say an environmental impact statement will be prepared for the final planning submission. The only option, and one which was not included in the consultants’ shortlist, was to remove the pipeline and proposed refinery away from socially and environmentally sensitive areas, in other words out of the Rossport region, he said. The campaign will continue to use legal and whatever other avenues are open to it to overturn the Shell plan, he said. Aside from a “distinct minority”, there was nobody in the region who wanted anything other than a reversal of the pipeline plan, and consequently the shortlisted options would do nothing to end the battle between Shell and the campaign of opposition, he said. The final route is expected to be chosen by the end of the year. Yesterday’s announcement came after three months of consultation with landowners, the local community and statutory bodies regarding the options published last June. The consultants’ shortlist has been placed on display in their project office in Belmullet, Co Mayo. Once the route is chosen, the consultants have expressed their intention to submit the final Corrib gas pipeline route to State authorities for approval for the first time. COUNTY councillors in South Tipperary yesterday voted to reject plans for a 3,500-home and technology park development on land partially-owned by the family of former FF TD and minister Noel Davern, outside Clonmel. New Vision Developments Ltd submitted a proposal to the council for a €1.5 billion technology and residential campus, to be called the Powerstown Quarter, on 400 acres of agricultural land which would, according to the company, have created 3,500 jobs and led to the construction of 3,500 houses over a 20-year period. An 80-acre portion of the land on the northern side of Clonmel is owned by the wife of Noel Davern, while 30 acres of it is owned by sitting Fianna Fáil councillor Pat Norris. The remainder is owned by private businessmen in the area. County manager Ned O'Connor urged councillors not to back the proposal to rezone the land. The vote was 13 against and nine for, with the votes in favour coming from the eight FF councillors and independent Cllr Eddie O'Meara. Cllr Norris abstained. Fine Gael, Labour and the independent Workers and Unemployed Action Group voted against the scheme. Urban planning consultant Nicholas De Jong, engaged by the county council to examine the plan, criticised the project for several reasons, including a claim that the "new town" of an estimated 9,000 people would not integrate with the existing town of Clonmel; that 15 houses per acre was "inappropriate"; and just 10% of the 400 acres was earmarked for employment. The county council itself is already developing a business, education and technology park at a site it acquired five years ago at Ballingarrane, adjacent to the main Cahir road. New Vision Developments expressed disappointment at the vote. Chief executive Don Davern - son of Noel Davern - said the company was "deeply concerned" that the council's consultants failed to find any merit in the proposal. He also questioned if "the same rigour and consideration" have been applied to the council's own development site at Ballingarrane. "Such questions are all the more pertinent given the €13 million invested in this site over the past eight years and the distinct lack of detail regarding the companies that the council envisages locating there and the number of jobs to be created." National planning guidelines for apartment buildings, which will for the first time compel developers to meet minimum standards for size and design of apartments have been published by Minister for the Environment John Gormley. Until now, developers have been permitted to determine the size of apartment units and the space given to storage, balconies, and outdoor areas within their developments, as long as they secured planning permission from their local authorities. National planning guidelines for apartment buildings, which will for the first time compel developers to meet minimum standards for size and design of apartments, are to be published today by Minister for the Environment John Gormley. Minimum sizes were in place for tax-incentive apartments, known as Section 23 apartments, built in urban regeneration areas since the mid-90s. However, these standards were not enforceable at a national level. The new guidelines set minimum floor space sizes ranging from 45sq m for a one-bedroom apartment to 90sq m for a three-bedroom apartment. Minimum storage areas for these apartment will range from 3sq m to 9sq m, while minimum balcony areas will range from 5sq m to 9sq m.
The guidelines state that "dual aspect" apartments, i.e. apartments with windows on two sides, should be the norm while single-aspect units facing north should not be permitted. Storage should be provided for "bulky items" in kitchens and bedrooms, communal drying facilities should be provided in larger schemes and bicycle parking must be provided. The new standards fall somewhat short of recent guidelines published by Dublin City Council for apartments within its area. However, the principal planning adviser with the Department of the Environment, John Martin, said the department's guidelines should be seen as a minimum requirement. "We hope that a significant number of apartments exceed these standards," he said. Cork Chamber President, Joe Gantly, has expressed concern that, unless a number of strategic issues are dealt with before the adoption of the Local Area Plan for Cork South Docklands, the progress made in advancing the redevelopment could potentially be delayed. The call came in a Chamber submission to Cork City Council regarding their consultation on the South Docklands Local Area Plan. According to Mr. Gantly - "By virtue of the complex issues to be addressed, it is the Chamber's view that a strongly-chaired and resourced Implementation Body - with the full co-operation and commitment of central government, the City Council and all relevant stakeholders - is needed to deliver the Local Area Plan. This will ensure Government commitment and add a sound basis for prioritising various aspects of the critical docklands redevelopment. "We are now at the beginning of a crucial time period. 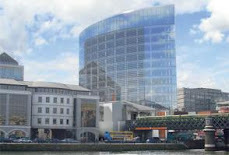 The development of the docklands is fundamental to the aggressive economic development of Cork. We see the Local Area Plan and the accompanying Business and Implementation Plan as critical documents that underpin the timely delivery of a substantial area of new residential, commercial, infrastructure and public realm development. This will serve to crystallise the function of Cork as a modern gateway city well into the future" - he added. In order for the Local Area Plan to come to fruition, a number of key factors need to be prioritised - including the relocation of the Port of Cork, provision of key infrastructure, including bridges and public transport and the relocation of the Seveso sites. "However, development can only occur if financial incentives are put in place. Therefore, the Chamber urges government to provide for tax relief and public funding to facilitate the development." Mr. Gantly went on to say - "Of primary importance is the relocation of the Port of Cork, which is absolutely fundamental to the delivery of the Local Area Plan. The Chamber urges the Port of Cork - as a key stakeholder - to continue their full engagement in the process." The Chamber President concluded by saying - "There should be a degree of flexibility built into the Local Area Plan, pending the outcome of the Business and Implementation Plan process. This should result in an agreed balance between the requirements of the built environment and the economic and social needs of the area." Minister for the Environment, Heritage & Local Government, John Gormley, TD, today has approved a new structure for fees charged by An Bord Pleanála in relation to appeals, applications and other matters under the Planning Acts. The introduction of a fee for applications made under the new strategic consent process - provided for under the Planning and Development (Strategic Infrastructure) Act 2006 - constitutes the principal change to the fees structure. This fee has been set at €100,000 per application. Approvals under the new strategic consent process confer a significant economic gain to developers and it is considered right and proper that they should contribute towards the costs associated with this process. Significant increases will be introduced for first party appeals of planning authority decisions on applications for retention of unauthorised development. Where such development requires an EIS, the new fee of €9,000 represents a more realistic contribution to the costs involved. The fee for first party appeals of planning authority decisions on commercial developments will also increase - from the current level of €630 to €1,500 for non-EIS cases and €3,000 for cases where an EIS was submitted as part of the application. Modest increases - less than half the rate of inflation in the period since the fees were last reviewed in 2003 - are proposed for third party appeals and referrals - from €210 to €220 in each case. No change is proposed at present to the €50 fee for the making of submissions or observations on an appeal case. The same fee will apply for submissions made in respect of applications for strategic infrastructure development. In addition, the fee payable for requests for oral hearings will be almost halved - from €95, at present, to €50. The Minister said - "I'm pleased to approve the Board's new fee structure. It's vital, as far as I'm concerned, that applicants under the new strategic consent process pay a fee that is commensurate with the quality of the service being provided to all participants under the new process. I'm also fully supportive of the Board's move to force individuals responsible for unauthorised development to pay a heavy premium for their actions - this is the right and proper course of action." Commenting on the small increase in fee for third party appeals, the Minister said - "The planning system must be inclusive of all sectors, all interests and all members of society. I'm determined that the level of fees should not act as a barrier to participation and, in that context, I have requested that the Board undertake a review of the administrative arrangements it has in place, so that, at some point in the near future, it will be possible - in practice, as it already is in principle - to introduce a reduced fee, or even a waiver, for certain classes of individual who wish to make a third party appeal. "Such a review would perfectly compliment the wider review - on which my Department is currently engaged - of planning application fees charged by planning authorities." The fees will be implemented on a phased basis over the course of the coming months. The European Commission has authorised Ireland to pay national aid worth more than €900 million over the period 2007-2013 to encourage afforestation. Ireland has the second lowest rate of forest cover in the European Union - at just 10% of the country's total land area. The primary objective is to bring the level up to 17% of land area. Aid of up to 100% will be available for establishment of forests. The establishment grants will be conditional on compliance with the Code of Best Forest Practice - Ireland and with environmental and forestry practice guidelines. Short-rotation species are excluded from the scope of the aid scheme. Under certain circumstances, an additional annual premium for maintenance costs and income foregone will be made available after forest establishment. Farmers establishing new forests and existing forest owners will be encouraged to create high-nature-value forests. A yearly compensation payment will be offered for a commitment to higher environmental standards in the management of the forests, which go beyond the commitments normally required for planting. The Afforestation Grant and Premium Scheme complements Ireland's Rural Development Programme 2007-2013. The aid will be granted by the Department of Agriculture and Food in Dublin. The scheme is one of the first aids to the forestry sector approved under the Community Guidelines for State Aid in the Agriculture and Forestry Sector 2007 to 2013. The text of the decision will be made available on the Internet - Click Here - once Member States have indicated whether they want parts of the decisions deleted for reasons of confidentiality. The decision can be found under the aid number N 161/07. Sustainable Energy Ireland (SEI) has published its annual report for 2006. The report highlights a number of milestones which were achieved in 2006 including the Warmer Homes Scheme which substantially improved the insulation standards of 2,100 low-income homes and the House of Tomorrow Programme - which, to-date, has supported 5,000 energy efficient new homes in Ireland. David Taylor, CEO, SEI said - "This has been an exciting and productive year of energy policy in Ireland. The Green Paper - 'Towards a Sustainable Energy Future for Ireland' - was released for discussion in 2006. It identified the essentials of the way forward as regards development of renewables and energy efficiency and it set the stage for the issuing of the White Paper in 2007. "We look forward to putting in place - in conjunction with Government - the roadmap, which will guide the development of the market to the benefit of producers and consumers alike." SEI continued to advance the wide range of programmes it champions across the economy to promote sustainable energy usage - as well as the development of renewable energy solutions for the commercial, industrial, residential and public sectors. * SEI's Dundalk 20:20 project commenced in 2006 with an aim of stimulating a national move towards sustainable energy practice within a designated Sustainable Energy Zone in Dundalk. The creation of this project coincided with SEI - acting as project coordinator - receiving substantial funding under the European Commission's 6th Framework Research and Development Programme (FP6). * Over 11,500 applications for domestic renewable heating systems were approved under the Greener Homes Scheme and almost €5 million in grants was paid in the nine months following the launch of the scheme on the 26th March 2006. * SEI launched its Ocean Energy Strategy while funding the construction and installation of two large scale wave-energy prototypes that have undergone testing in Galway Bay. One of these projects - Open Hydro - installed its first large-scale grid-connected 160KW tidal generator with SEI support in November 2006. * SEI extended its support programmes for large business by launching the Energy Agreements Programme, supporting firms implementing IS 393 - the Irish Energy Management Standard. The standard is one of only four fully certifiable energy management standards in the world and is already proving successful in driving strong energy cost savings. * Increased production of energy generated from renewable sources including a 66% increase in wind generated electricity. * Of the 5,000 housing units across every county in Ireland, which have been supported under SEI's House of Tomorrow Programme, 2,100 homes were occupied by December 2006.
ublin City Council has overwhelmingly voted against allowing limousines to use the routes reserved for buses and taxis. The Commission for Taxi Regulation had asked that hackneys and limos get the green light for the lanes, pointing out that diplomats and businessmen use limos during their stays. However, Dublin City Council is to advise the Transport Minister not to give it the go-ahead. The use of bus lanes was last reviewed by the council in 2001 - but, it was decided then that access to the lanes should remain unchanged due to concern regarding bus journey times. Mr John Gormley, TD, Minister for the Environment, Heritage and Local Government, John Tierney, Dublin City Manager and Michael Phillips, Director of Traffic, Dublin City Council are inviting motorists to leave their cars at home on Saturday 22nd September and support European Car Free Day in Dublin by using public transport to get around the city. Dublin City Council is organising family-friendly entertainment at three locations - Parnell Square East, Merrion Square West and the main road through Herbert Park - to encourage families to come into the city by trying out public transport options. These roads will be closed between 7 a.m. and 6 p.m.
Parnell Square will host two 2-hour performances of opera and gypsy music outside Hugh Lane Gallery from 12pm to 4pm. Two art workshops - 12pm and 1.15pm - and three public tours- 12.30, 1.30 and 2.30 - will be held at the same venue. Families can wind down in the picnic area and enjoy the snacks provided and a magician for children, before setting off by ecocab to Merrion Square. Merrion Square will host a mixture of urban and traditional events to suit children of all ages, starting at midday. An extreme sports display of skateboarding, BMX skills, rollerblades and long boards - as well as a break-dance workshop - will appeal to older children, while the younger children can join the fun on the bouncy castle, attend a magic show or learn circus skills. A picnic area will be provided for families to relax during the activities before they make their way by horse-drawn carriage to the next set of events in Herbert Park. Herbert Park will host an exciting programme of activities from midday, with The Great Exhibition of 1907 being the focus of the event. Visitors can enjoy music from brass bands and the Fire Brigade Band while admiring the different vintage vehicles on display. Characters dressed in period costume will be on hand to help and direct families to the various attractions. The Lambert Puppet Theatre will perform their Punch & Judy show for the children, while adults can relax and enjoy traditional afternoon tea free of charge. "It's never been easier to get public transport in and out of the city" - said Lord Mayor, Cllr Paddy Bourke - "and we hope people will make the effort to come and support Car Free Day on the 22nd Sept. The City Council is making a big effort to provide events on the day, to entertain people of all ages and there will be free public transport running between the three venues" - he added. "If you've always used your car, Car Free Day is just the opportunity for you to try other alternatives on a weekend day" - said Michael Phillips, Director of Traffic and City Engineer at Dublin City Council. "There are 8 free cycle taxis available in the City Centre area. You can just flag one down in the usual way." Three new Quality Bus Corridors have come on stream in the last year - The North Quays, Lucan and Swords Road Quality Bus Corridors - getting more commuters to their destinations in less time. The new Pearse Street Quality Bus Corridor will come into operation, for the first time, during Mobility Week. Dublin Bus carried 150 million passengers in 2005. 41% - just over 60 million - travelled on Quality Bus Corridors. The Dublin Bus projection for 2008 is 162 million passengers, with 59% - 95 million will travel on QBC. Projections for 2011 show 185 million passengers, with 63% - 120 million - travelling on QBC. "A commuter who drives a 10km journey to work every day - and back, will emit 5 kilos of emissions each day - that's over one tonne per year. By walking or cycling to work, commuters can burn between 300 and 700 calories every day, protect the environment and save up €3000 a year in insurance, fuel and car maintenance costs" - said Cllr Bourke. European Car Free Day takes place during European Mobility Week - September 16th to 23rd - which aims to encourage people to adopt new approaches of getting to and from work, school and other daily activities, through car pooling, cycling and walking. A CONFERENCE and exhibition is being held in Cork today to explore the possibility of a car-sharing scheme or a “car club” being started in the city. Last week, city councillors approved a feasibility study that concluded that, despite the city’s low density population, a car-sharing scheme could work. Under the scheme, club members would have ready access to cars without having the expense of buying, insuring and taxing a vehicle. Club members book a car when they need it, go to a designated parking bay and open the car with a smart card and a PIN number. The car is returned to the bay when the trip is over. According to the Sustainable Transport Council and managing director of mendes Ltd Graham Lightfoot, the car club is just one part of an “integrated traffic system”. “An average car is idle 22 hours out of 24 hours. Yet, we pay for them 24 hours a day,” he said. International studies have shown car club members only drive about two-thirds as much as earlier and that a shared car, through being used more effectively, takes the place of five privately owned cars and as many parking spaces. Today’s conference at the Imperial Hotel on South Mall is part of European Mobility Week. The city’s highly successful Park and Ride at Black Ash will be free all this week. Black Ash is open to car drivers from 7.30am-7.30pm. WESTERN countries face a politically and economically difficult future as governments are faced with finding alternatives to oil, according to a former US Secretary of Energy. Nuclear energy and restarting coal mining are some of the realities that political parties will have to consider selling to voters, said Dr James Schlesinger. He is in Cork today for the annual conference of the Association for the Study of Peak Oil — of which the Irish Examiner is a media sponsor — being held at City Hall for the next two days. “We are facing and have already started going through a substantial transition as we move from our reliance on oil. This transition will be politically and economically difficult and will reflect the fact that we can no longer depend on crude oil production,” he said. The transition has started, he added, because of the recent acceleration in oil prices sparked by uncertainty in the Middle East. “I believe that in the changing world that we are living in we will have to look at coal as an alternative energy source. We also have to look at nuclear. “We have huge coal firing capacity and that could work along with carbon dioxide capturing, storage and sequestration. Former Shell chairman Lord Oxburgh will also speak at the event. In an interview with lastshockoil.com this weekend, he warned that oil demand could outstrip supply in the next 20 years. “How serious it will be will depend on how much progress has been made in the other direction I mentioned, namely finding substitutes for fossil mineral oil,” he said. A local authority is being asked to explain how over €200,000 was spent unnecessarily on a study for a proposed sewage plant. It has emerged that Donegal County Council commissioned an Environmental Impact Study (EIS) on a controversial plant for Moville/Greencastle at an estimated cost of €220,000 only to learn from An Bord Pleanala that such a study was not required under new legislation introduced last year. Local objectors to the plant are now calling on the Comptroller and Auditor General to carry out "an in-depth analysis" of the Council's spending on the proposed scheme over three decades. An amendment to the Strategic Infrastructural Bill 2006, introduced to fast track infrastructural projects, stipulates that an EIS is only required for a project designed for a "population equivalent of 10,000 or more". The "population equivalent" of the proposed site on the banks of Lough Foyle at Carnagarve is 8,800. For projects serving a population equivalent of less than 10,000, the local authority is required to list any potential environmental impact in its submission and the planning board determines whether an EIS is necessary. Exceptions can be made if the project is to be located in an Special Area of Conservation but this is not the case with this scheme. "It beggars belief that Donegal County Council did not know this. We are demanding accountability for the potential squandering of hundreds of thousands of euro," said Enda Craig, spokesperson for the Campaign for a Clean Estuary group. He revealed that another EIS and Hydrographic Study was carried out in 1990 on the same site at a cost of IR£180,000. Local Sinn Fein councillor, Padraig MacLochlainn, who is endorsing the group's call for a review of spending, described it as "a monumental error". "They clearly rushed headlong into the study without reading the legislation before they wrote the cheque. It is a major blunder and the council should put its hands up and admit that," he said. The group is calling for the resignation of the County Manager Michael McLoone.A spokesperson for Donegal County Council said that Mr McLoone would be bringing a report before a meeting of the Council at the end of September. Since it was first earmarked, the site has been dogged with controversy. It is situated within 170 metres of a Gaelscoil and GAA pitch and in close proximity to approximately 100 houses. 400 metres away on Lafferty's Lane, raw sewage will be pumped from an estimated 60 houses to a vented holding tank beside a beach and picnic area and a number of private homes, including one owned by Nobel prizewinner, John Hume. Enda Craig described it as "a cheap and nasty solution" to a problem which has been ongoing for over 30 years. "The most sensible, reasonable location is north east of Greencastle, away from the tidal estuary of Lough Foyle," he said. But the council has maintained that "considerable time, effort and expense had been put into public consultation" and also that the site at Carnagarve was the "optimum solution".